Sure, Parson’s owned the Summer with a dual threat of fried chicken and Negroni slushies, and the line outside Honey Butter speaks for itself, but what if you don't have time for lines/ aren't anywhere near Avondale? Get your chicken lickin' love at these 8 spots, both old and new, that are well-worth the time and grease. 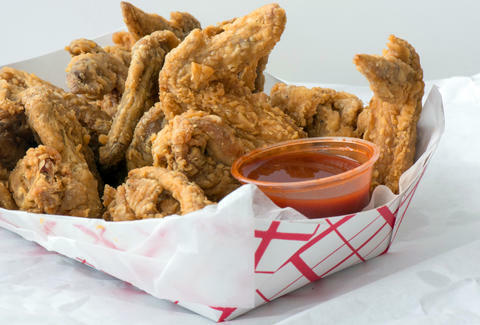 At the start of any fried chicken discussion, you must kiss the ring of the chicken godfather, Harold’s: the booming South Side chain now with dozens of locales across the city. 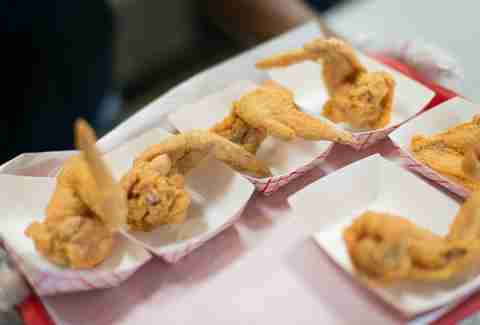 The half-fried birds, tossed in seasoned flour, are finished to-order and stay phenomenally moist. A dunk in their hot sauce and you're good to go. 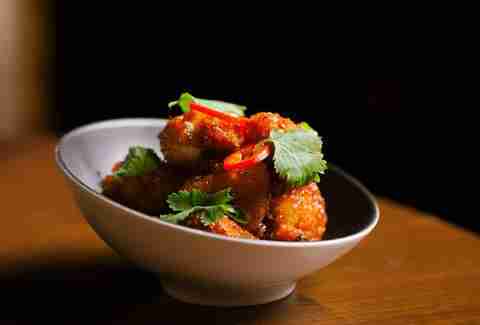 You should never drink a tiki totem full of overproof rum on an empty stomach, especially when there’s Thai Fried Chicken in garlic-chili sauce to be had. Only then may you proceed to sipping from your treasure chest of booze. Taking a page out of soul food pioneer Edna Lewis’s recipe book, Big Jones' fried chicken lunch special is cooked in a cast iron kettle with fresh leaf lard and a ham hock for good measure. Paired with sides like mashed potatoes and gumbo gravy, voodoo greens, red beans, and rice & banana pudding, it's a meal best consumed when you don't have anything to do for the rest of the day. Or week. Not only does it reign supreme amongst the city's best chicken wing joints, but Crisp’s Seoul Sassy Korean chicken is just as delicious when it comes to bigger body parts. Soy, ginger, and garlic are all the reasons you need to pay a visit. Corn flakes have never looked as appetizing as when they’re incorporated into a chicken & waffles platter. 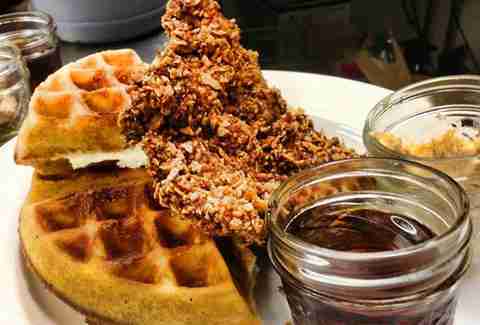 The Hearty Boys offer up a corn flake-crusted boneless thigh on a waffle, with honey/black pepper/butter/bourbon/brown sugar syrup. "What's that you say, more chicken and waffles? Ok Bobby, just promise not to hit your sister". 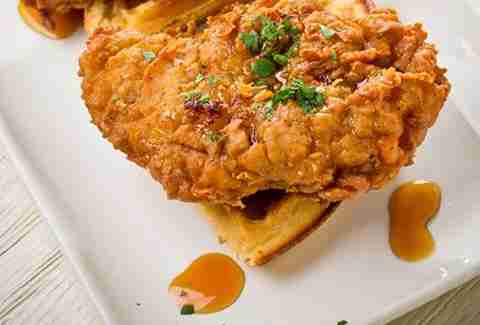 GT Fish & Oyster drops the boom for brunch with their boneless fried chicken and waffles drenched in Burton’s Maplewood Farm syrup. 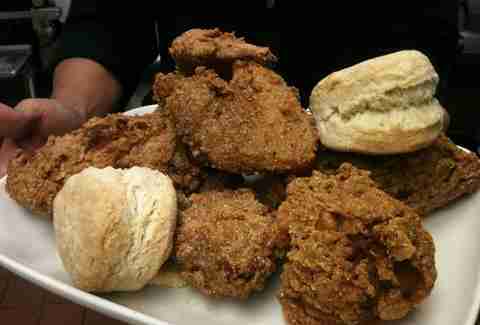 Possibly the best-kept secret by Midway is this butter-crusted fried chicken. 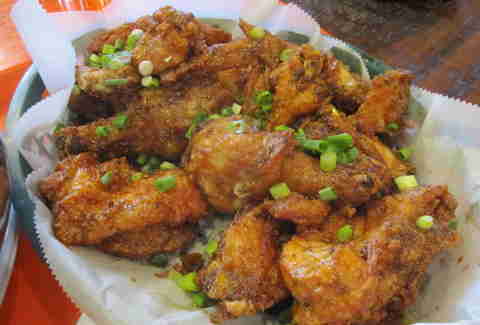 For more than 30yrs, Mini Hut has avoided a Napoleon complex in order to churn out fried chicken that is unbelievably juicy with the perfect balance of salt. 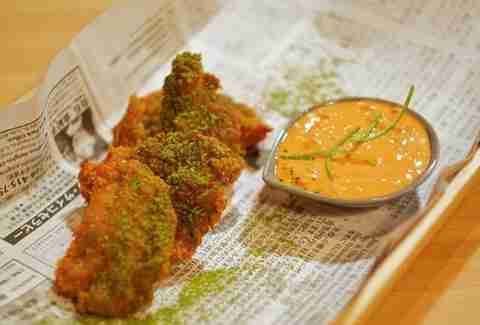 Regardless of whatever bizarre creation KFC puts out, this is the double down you've been looking for: twice-fried chicken at Yusho with lime, green tea powder, and a Kanzuri dipping sauce that you'll certainly be double-dipping in.